yup, it IS what you are thinking it is. 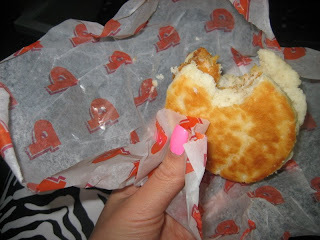 a Popeye's chicken sandwich, with a biscuit acting as the bun. Thanks for sharing. We will look forward for your future updates.